Discussion in 'Online Casino Promotions' started by Marina, Sep 7, 2015. Every four years, rugby fans from around the world celebrate several weeks of pure sporting delight in the form of the Rugby World Cup. This year, the online casino site, InterCasino will be right in on the action with a fabulous promotion that will run alongside the World Cup. 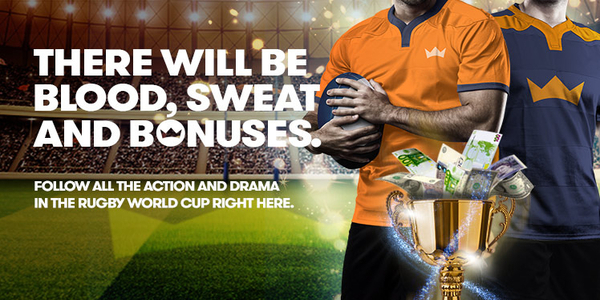 InterCasino players can follow all the drama of the Rugby World Cup from September 17th to October 31st 2015 for weeks of non-stop gaming and sports action. bonus from the online casino’s Facebook page. Extra points will also be given to players for wagering at InterCasino. From September 6th to 16th, players are given the chance to earn as many InterPoints as possible for a chance to win $1,000 through Bullseye Bonuses at the site. while 3,750 points awards the second prize of $650 for two lucky players. Just 125 points will earn seven players a $50 Bullseye Bonus. The Malta licensed Intercasino online gaming site is home to some of the best casino games in the business. The site offers players a dazzling array of slot games, video poker, baccarat, blackjack, roulette and more. InterCasino offers a number of welcome packages for new players, including a Slots Lovers bonus which gives slots fans $600 to play with over their first three deposits. A Table Games welcome bonus rewards fans of these types of games with a $300 generous welcome bonus, also on their first three deposits.